What is it about Batanes? Aside from being the smallest and least populated province in the Philippines, the elusiveness of this place made it a dream destination for me. It takes more than drive to get to this place. If the timing isn’t right, you will be facing the biggest storms but when properly planned, it can be pretty easy and you will make the most out of your trip. The country’s northernmost and smallest province, Batanes is among the most sought-after tourism frontier destinations located at the confluence of the West Philippine Sea and Pacific Ocean. It has been declared by the government as a Protected Landscape and Seascape because of its rare flaura and fauna, undulating terrain, diverse marine life, limestone cliffs, and panoramic sceneries. It boasts stretches of white and cream colored sandy beaches and clear water. Composed of 10 islands, with only three inhabited (Batan, Sabtang and Itbayat) while the islets of Dinem, Siayan, Ditarem, Misanga, Mavudis, Dequey, and Vuhus are uninhabited. It has six municipalities – Basco, Mahatao, Ivana, and Uyugan (located in Batan), and the island towns Sabtang and Itbayat. Batanes’ tourist icon is its Ivatan indigenous house made up of stone, coral and lime walls, hardwood floors and windows, and cogon roofs. The province’s other postcard worthy images are its farolas or lighthouses, Spanish-era churches and grazing hills with literally breath-taking views of waves crashing the shores. The provincial capital town, Basco is the gateway and hub of commerce and transport of the province with the presence of the airport that can bring tourist in either from Tuguegarao City or directly from Manila. From here, tourists can go around the other towns in Batan Island. Finally, I am now realizing that dream of setting foot in this beautiful Island of Batanes. A year ago I kept my eye on seat sales particularly in Skyjet airlines. Last November 2014 I was able to finally booked my flights (one week worth trip). Monday, April 6, 2015 I packed my bags and prepared myself physically, financially, and emotionally for this once in a lifetime trip..hehehe! A dream destination deserves nothing but a convenient carrier. Skyjet is considered a full service airline (on board meals, free luggage and spacious legroom) giving its passengers a guaranteed boutique experience . It is taking passengers via a British Aerospace Jet (80-seater) - the same jet aircraft used by the British Royal Family. This type of jet is perfect and ideal for the Philippines’ small island airports with short runways. Overall, a great flying experience. I arrived in Basco Airport past 8 in the morning. The sky is a bit gloomy though but think positive, everything will fall into place. I waited for Nanay Cita to fetch me. Few minutes later, I finally got my well deserved rest here in my home away from home in Basco, Batanes. You will have this place by yourself if you get lucky, just like what happened to me on my first day. The house for rent is located on the second floor. After having breakfast, recharge time until lunch before exploring the Northern side of Batan. 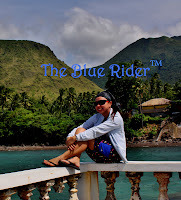 I stayed 7 days and 6 nights in this amazing place, and most of you wanted to know how I survived getting around here, hope this simple itinerary will help you in planning your way around the Province of Batanes. 10:00 AM – ETD Itbayat – goodluck! Day 7 – DEPARTURE - bye BATANES! Here’s a list of expenses that I made during my last trip to Batanes to give you a ballpark figure of how much budget to allot for this. All prices are in a per-person basis unless stated. I did not include our expenses for air fare, souvenirs, tips, and other fees in this rate sheet as you may have different needs and preferences. Note that all figures are subject to change without prior notice. The fastest way to reach Batanes is by air. However, the options are limited. Only Philippine Airlines and Skyjet Air fly to Basco, the capital town of the province. Keep an eye on seat sales as the airfare going to Basco are notoriously expensive. I higly recommend though you take Skyjet, the fare maybe a bit expensive, but trust me you wouldn’t want to get stranded for days there. Just like what happened to the passengers when we left Basco, Skyjet was able to load passengers back to Manila while PAL didn’t even make it. *_^ So choose wisely. Tricycle Tours: If you’re a party of two or more, this is a good option. The good thing about this is that the driver knows the spot and a bit of local info making the tour more guided and sweat free. Basco has 24/7 power activated while both Sabtang and Itbayat maintains 18 hours electricity daily from 6 AM – 12 MN. Weather in Batanes is relatively cooler than the rest of the Philippines. The coolest months are from December to March where temperatures fall below 10 degrees. Dry months are from late March to June. In terms of Religion, 97% of the Ivatans are Roman Catholics and they appreciate visitors observing conservative dress code whenever they enter their churches. Landbak and PNB ATMs are available in Basco. You may opt NOT to bring your credit cards with you as you are expected to pay in cash all the time. There are no specific greeting for any time of the day. Older men and women are your “uncles” and “aunts” in Batanes. It is an accepted way to say hello. “Kapian ka pa nu Dios” is also used as greeting any time of the day while Dios Mamajes is Thank you. Internet is accessible in cafes, restaurants, bars, and other establishments. Some also have free WiFi. In addition Smart, and Globe phone networks are adequate in most parts of the three islands. You can still lower the cost in many ways. If you bike, it can bring down the cost of transportation significantly. You may also skip trying out some of the province’s native dishes for cheaper meals, although I discourage that. Any trip is just incomplete without digging into some local delicacies. The number of people in the group also affects the overall cost, which means you might end up spending more if you’re traveling alone (just like my first 3days). This maybe one of the most expensive domestic trip I have but the experience you will gain in this province is priceless. Batanes is really everything that people said it is: so beautiful and serene that you’re tempted to take as much pictures as you can. So pack your bags and get ready to fall in love, cheers!